The degree to which you are able to tan is determined by your body’s ability to produce melanin. Melanin is a pigment that is found in the skin – except for the palms of the hands, soles of the feet and lips. Melanin is produced through cells called melanocytes. Differences in skin color and degrees of tanning are attributed to the amount of melanin the cells can produce. The actual tanning process, whether using indoor tanning equipment or tanning outdoor in the sun, begins when the melanocytes are stimulated by ultraviolet (UV) light. Exposure to UVB stimulates the melanocytes and leads to the formation of pigment granules. Exposure to UVA oxidizes the pigment causing the skin to tan. Tanning occurs in two phases. The first phase is IPD or Immediate Pigment Darkening. This is most noticeable in darker skinned individuals who have a higher degree of melanin already present in their skin. IPD may fade quickly after the first tanning sessions. As exposure times increase, the IPD will last longer. (Not all skin types experience IPD.) The actual biosynthesis of melanin in the skin requires 3 to 8 days to develop. Accordingly, phase two of the tanning process is known as Delayed Tanning. As your tanning sessions continue in accordance with the schedule for your skin type, a steady migration to the skin’s surface of newly formed, darkened pigment begins. 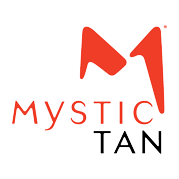 This allows you to maintain your tan with just one or two sessions per week. The calculated combination of UVA and UVB administered in accordance with exposure schedule for your skin type allows the tanning process to occur within the controlled environment of the tanning system. There are two main types of ultraviolet light, UVA and UVB. All tanning beds use a combination of these two rays, which contribute differently to the tanning process. Tanning takes place in the skin’s outermost layer, the epidermis. When exposed to UVB light, melanocytes located within the epidermis produce melanin, which causes the skin to redden. When exposed to UVA light, the melanin oxidizes and causes the skin to darken to a deep golden brown. High-pressure bulbs are much smaller in size than regular tanning bulbs. A unique filter system allows the Omega to filter out most of the UVB rays, using just enough to stimulate the melanin leaving the UVA rays to darken the skin. Tanning is actually the body’s natural defense mechanism for protecting against the sun’s rays. Normally, the outer layer of skin exfoliates every 28 days but when exposed to high concentrations of UVB rays; the body is forced to exfoliate prematurely every 5-10 days. This is why low-pressure tanners must tan more frequently to keep the outer layer of their skin looking brown. Because high-pressure filters out most of the UVB rays, your skin is able to maintain normal exfoliation every 28 days, which in turn allows your skin to stay tan much longer! The vitamin is D, nicknamed the “sunshine vitamin” because the skin makes it from ultraviolet rays. Sunscreen blocks its production, but dermatologists and health agencies have long preached that such lotions are needed to prevent skin cancer. Now some scientists are questioning that advice. Many people aren’t getting enough vitamin D. It’s hard to do from food and fortified milk alone, and supplements are problematic. So the thinking is this: Even if too much sun leads to skin cancer, which is rarely deadly, too little sun may be worse.